This entry was posted in Carlton, Environment, Family, Health, Labour Party, Leeds, Leeds City Council, NHS, Older People, Oulton, Rothwell, Social Care, Woodlesford, Young People by Karen Bruce. Bookmark the permalink. Fab news. I am 51 and used the existing facilities when I was a child. Its about time we had something new. My two young children will be so excited. Long overdue. Please provide information to what land adjacent to the current site actually means. I live close by and would be interested to see the site plans. Brilliant news … about time ! 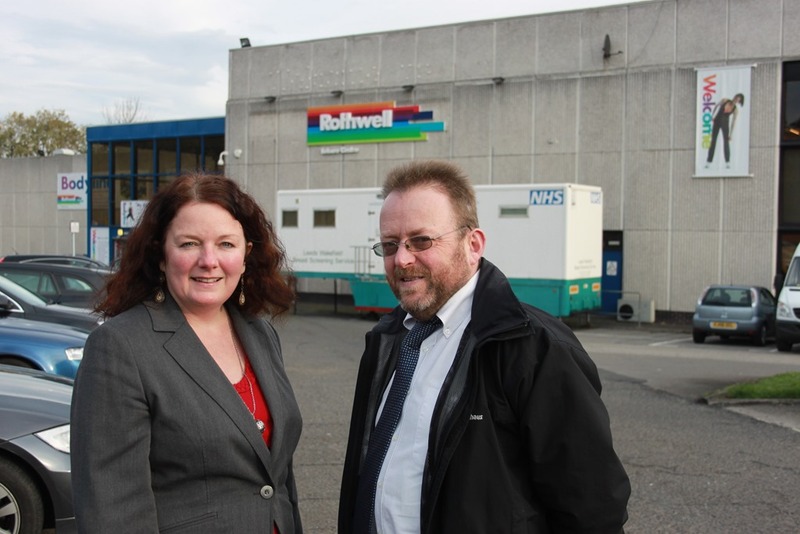 Grest win for Rothwell people as it seems we are always on bottom of the list for refurbishment, Rothwell park could welcome new items that children can play upon…. don’t give up the fight guys. Thank you ! Desperate for a new centre would b fab if it had steam rooms saunas and squash courts . extended opening hrs on a weekend for people who work shifts like myself would be a bonus especially in this day and age and the monthly fee paid to shut at tea time doesn’t meet with society today should be more 24 hr or at least 9-10pm closes. This is fabulous news. Every morning, the average age of swimmers is 65-70 and they all love chatting in the pool, which is really grimy round the edge. I would like to see table tennis facilities, which we don’t have at present. I often swim down there on my own and with my granddaughters on a Wednesday evening. Anything would be better than what we have now I’ve not been there for ages as the last time I went for a swim it was filthy in the changing rooms so never been since! Think I would have preferred the money going on free sport/swim/leasure admission for everyone over the age of 60 given it’s a priority to get everybody fit and healthy to relieve pressure on the NHS and it was government policy at one time.